Run and drive great. Just buy and enjoy. Car is in Silver Metalic Color. Model 2007 with Matching bumpers. 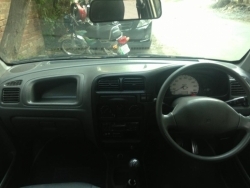 Company Fitted AC Companay Fitted CNG. Original Book and Complete Return File. Life time Token Paid. AC in chilled working Condition. Heater is in perfect Condition. Excellent Mechanically and Suspension wise. Very Neat interior/exterior, like new car. CD Player Music System, Extra Kenwood Speakers installed. Excellent Millage both on Petrol and CNG. Water Throwing Engine Smooth Steering and soundless Suspension. A complete family car..... Just for family... Not a single penny need to spend on any thing. Just buy and have fun .....Although, very reasonable price, but still a little bit negotiable.Original snaps attached. 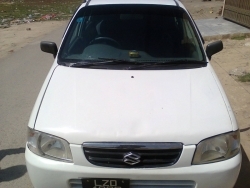 Car can be seen in Zarar Shaheed Road Lahore Cantt area.....Please Call Ali or Farrukh on 03214095490, 03451442126. No Agents Please. 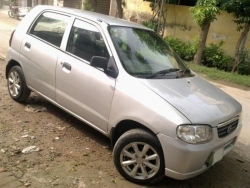 Suzuki Alto Golden color in good condition for sale life time token paid only serious buyers my contact. Family used car. use only for pick and drop of my childrens from school. New Tyres with alloy rims. Life time token paid. 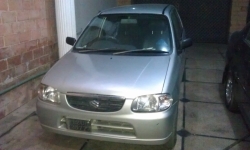 very good condition with alloy rims and sound system. price negotiable.